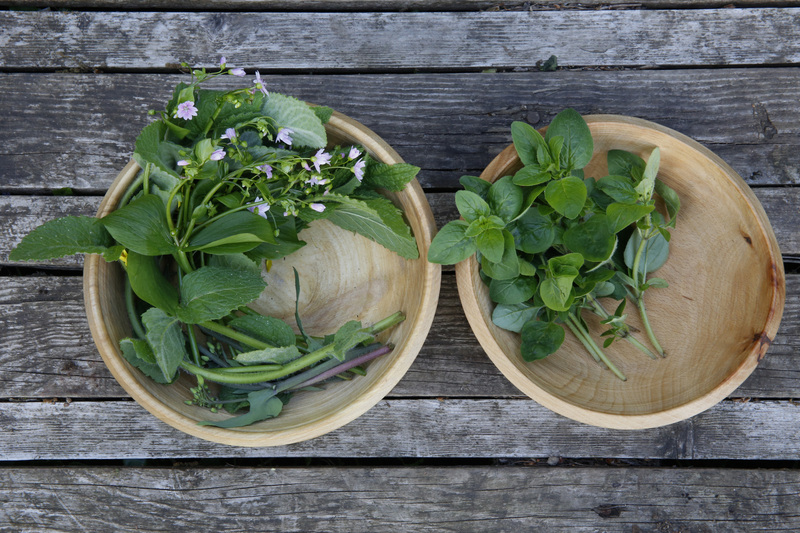 Real food and traditional craft; together they stretch back to the mists of time. But there’s nothing old fashioned about either in the context of modern day life. They’re part and parcel of our story as human beings and although our western, mass production, fast-paced lifestyle could at times seem to threaten our connection to both it is clear that a rapidly growing number of people are embracing those things which make us slow down. 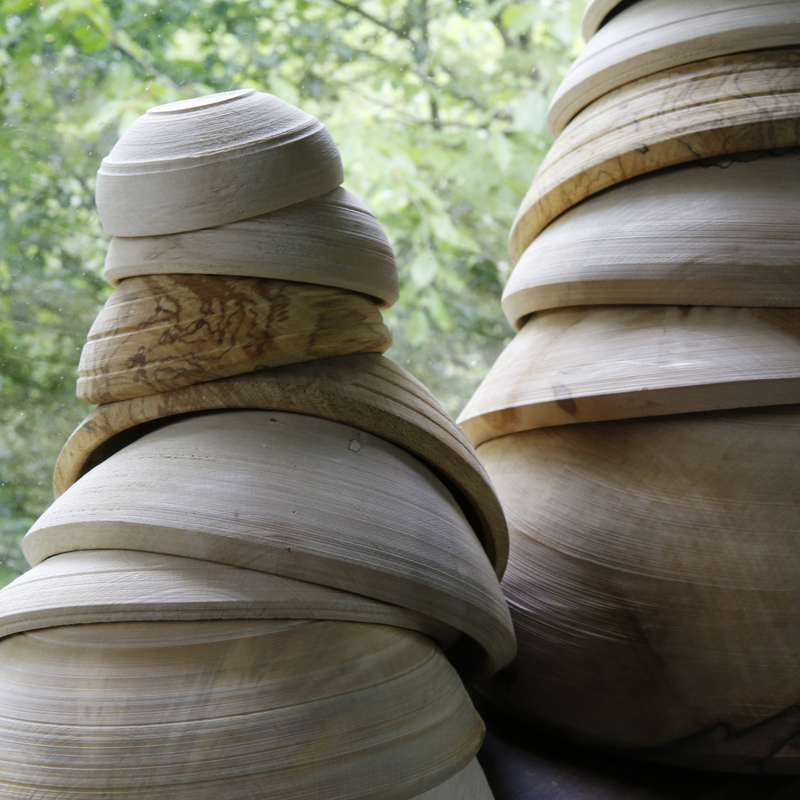 un-oiled wooden bowls after several weeks of drying. 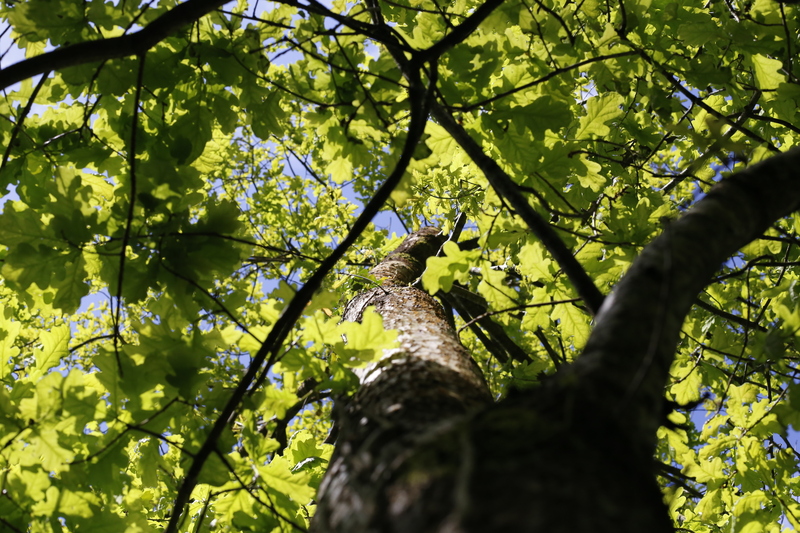 Discovering green wood working was like setting off on a path which led me to a way of life more deeply satisfying than that to which I had been accustomed for most of my adult life. But I’d already had a glimpse of it when i was much younger, albeit in a very different cultural context. When I was a boy my family moved to the Middle East where we settled in Jordan for several years. My clearest memories of that time are of the Bedouin; desert nomads living in low, dark, graceful tents made from animal hides. They would travel from place to place, grazing their large, dusty flocks of sheep and herds of goats. Even as a seven year old boy I was struck by the way they lived. There was a kind of dignity and wildness about them, these travelers in the desert. The Bedouin children would watch over their goats and sheep on the rough parcels of land around our home and part of me felt drawn to join them although it was of course impossible. They would stay around for a few days and then move on. Even as a young boy I had a sense that they were doing things ‘at the right speed’. I remember going with my father to buy livestock, a couple of chickens or a sheep, which we would take home alive and keep until we were ready to prepare them for the table. I leave the details to your imagination. As a child, this seemed very normal to me and memories of those days have stayed vibrantly alive with me all these years. 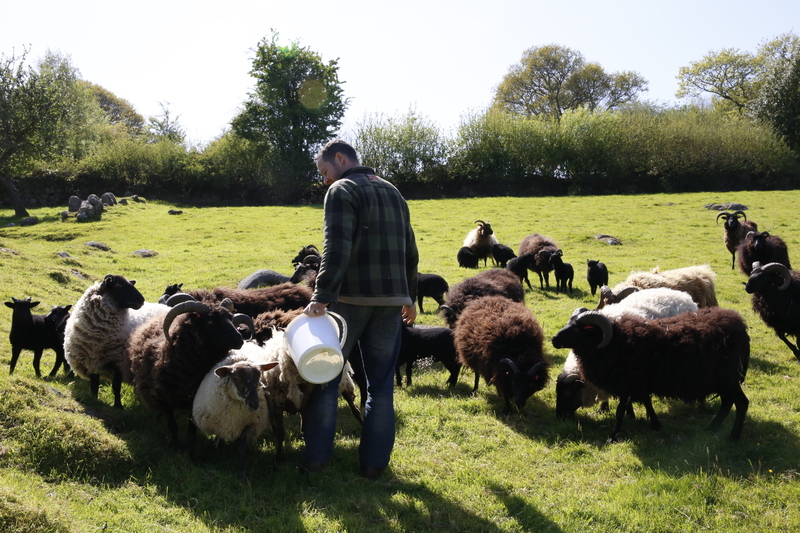 Since moving to Dartmoor and now in my 40’s it feels deeply nourishing to be connecting with people here who are intent on moving towards a more sustainable land-based culture. 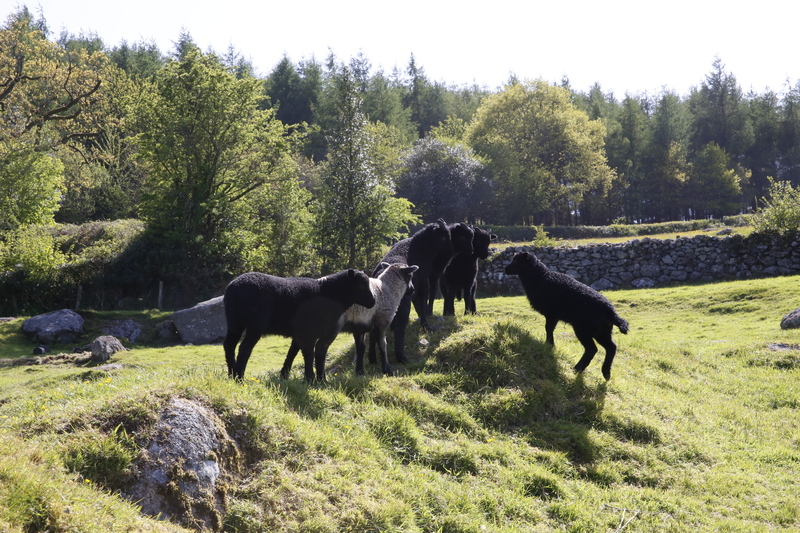 Fern and I have taken on a flock of Hebridean sheep which we share with some friends. Last year a few Shetlands joined the flock. 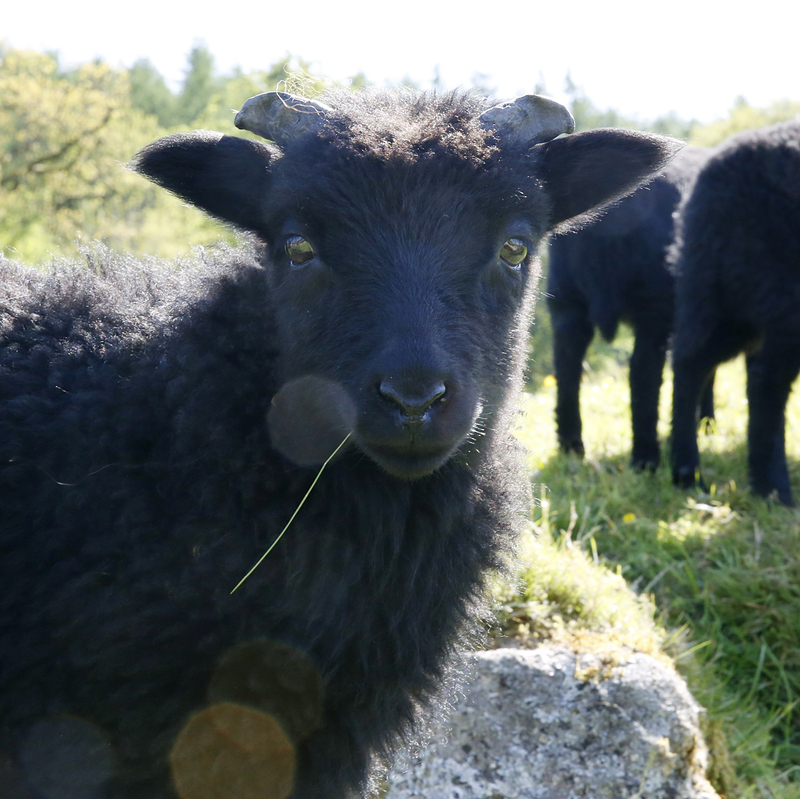 The Hebridean’s remind me so much of the small sheep the Bedouin kept in Jordan and the smell of them on a warm sunny day transports me back to my childhood. I am learning; that to do a good job it’s important to be fully present. Not to be too hasty. Focus on the process rather than the end result. Sound advice for bowl turners and spoon carvers as well as budding shepherds. Slow down and observe the flock and you will notice important things. 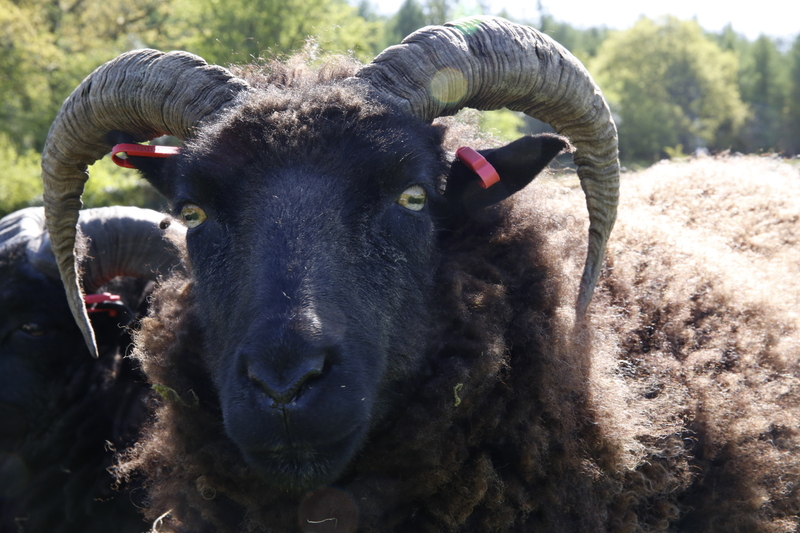 That ewe is limping slightly; are her hooves in need of a trim? 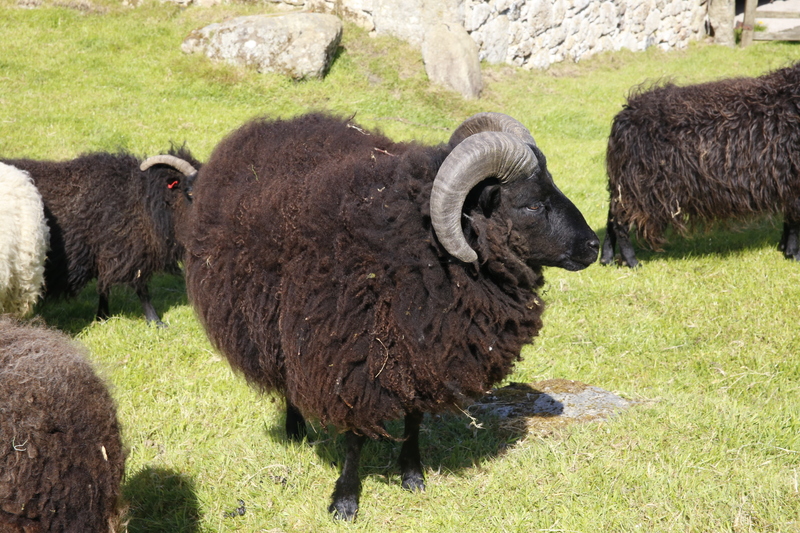 That ram is repeatedly rubbing his head on a fence post; does he have a small wound which is being bothered by flies? 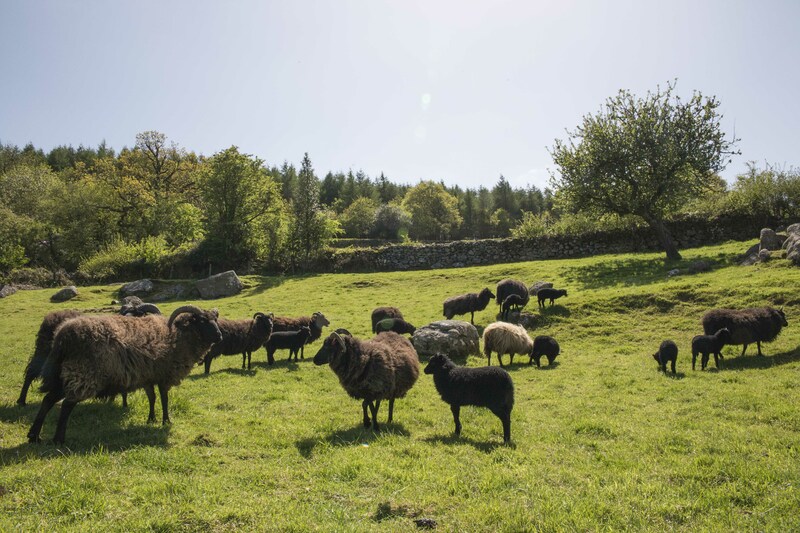 Maintain this attention to detail and the end result will be good; a happy, healthy flock and in time the very best delicious roast meat to nourish body and soul. One thing I have learned is that most shop bought lamb is culled long before it’s at its best flavour-wise. We tend to leave ours until well over a year old, (hogget) or over two years until it’s become mutton. The extra time allowed results in a far superior flavour. Why is everyone always in such a hurry? There are parallels here with craft. Learning a craft takes time. Learning happens best when you savour the hours and minutes rather than count them down. When you do what you are doing as well as possible rather than as fast as possible. When you are not holding on tight to the idea of arriving. Inevitably the more time you spend doing something the faster you’ll be able to do it. But it’s so easy to get caught up in getting somewhere with it and getting there as quickly as possible…. 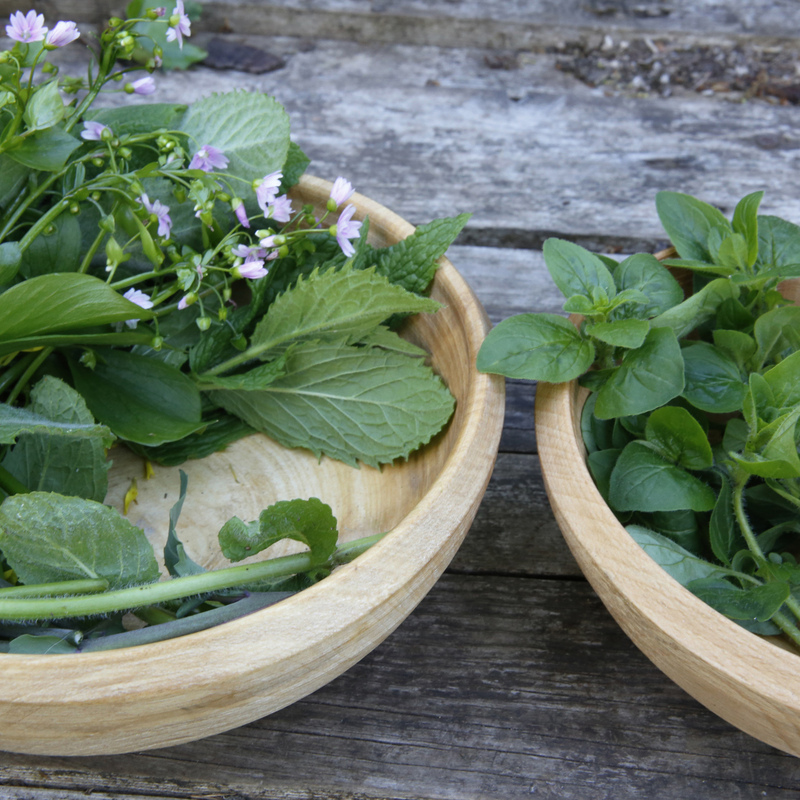 Herbs and wild greens foraged from Steward Wood; mint, oregano, lemon balm and pink purslane. 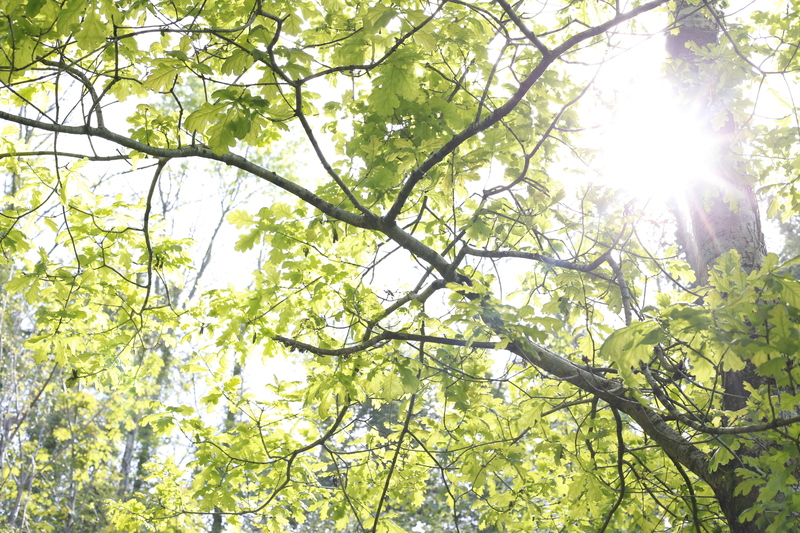 New oak leaves in the Spring sunshine. I’ve updated my gallery, click here to see. Very well written and very resonant my old friend. As I care for my Dad in his final days, taking time to notice the little things and saviour them is as you say infinitely more rewarding… Speed has its place, but sometimes slow is all we want if we only realise it hey. Good read and thoughts Sharif ,thanks for sharing . Just saw Carl Honore Ted talk a few days ago . Hi Yoav, had a look at that just now. Interesting video. He talks quite fast! So well written Sharif and thought provoking. As I read this, I glanced over to your bowls and other wares that we are lucky to have. A lovely reminder of both you and Fern.